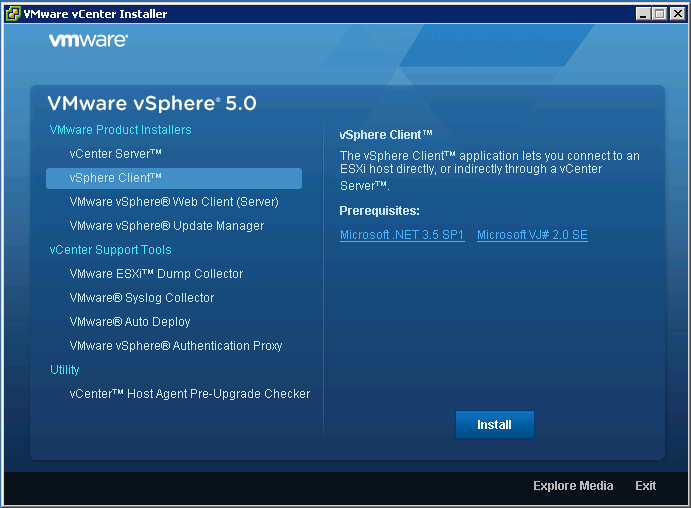 VMware vCenter 5 comes in two flavours, one that is an “all-included” virtual appliance, and one that is a regular Windows installation package. 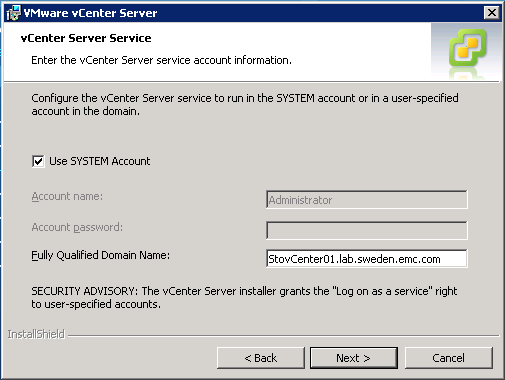 I would like to take the opportunity to show you how to install the new version of vCenter onto a Windows server, as I think many customers will keep using vCenter on Windows because they’ve gotten used to managing, configuring and troubleshooting their current vCenter installations like that. Let’s take a look at the first part of the installation. If you compare it to the vCenter 4 installation procedure you’ll see that VMware has added quite a few more things that can be installed. 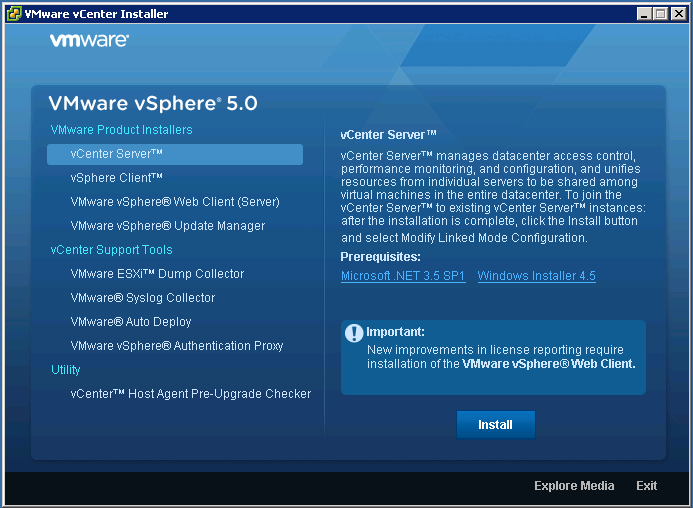 For this blog post I’ll focus on showing you how to install the parts beneath the header “VMware Product Installers”, as these are the main parts of the vCenter installation. 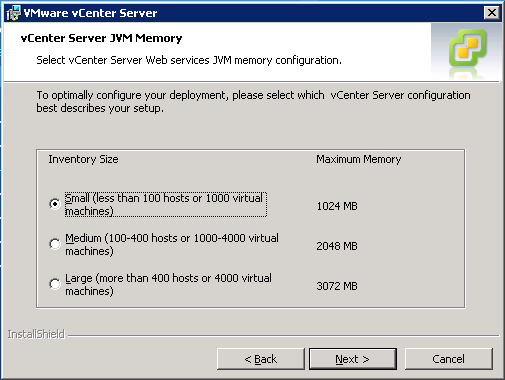 This means that you’ll have a complete vCenter up and running quite quickly. 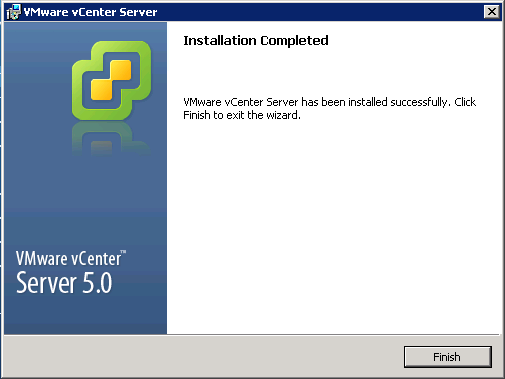 First off, start the “vCenter Server” installation. Accept the EULA, enter your name and company (and license key if you have it), and you’ll get to the database installation. 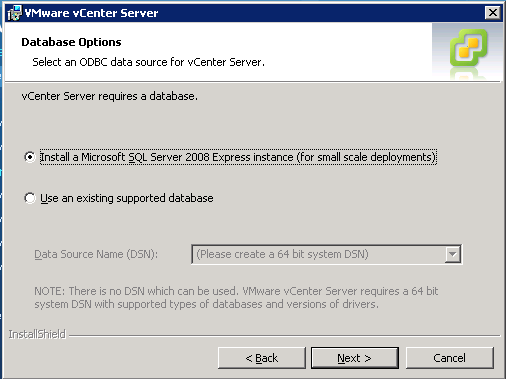 If you’re installing vCenter for a small deployment, or for a lab, I suggest you use the SQL Server 2008 Express instance. I also highly recommend using the “SYSTEM” account when using the bundled SQL Server 2008 Express instance. This means you won’t have to set up a separate SQL Server instance and/or database username (easier for you as an administrator), but make sure you also understand that it’s only supported for small environments. 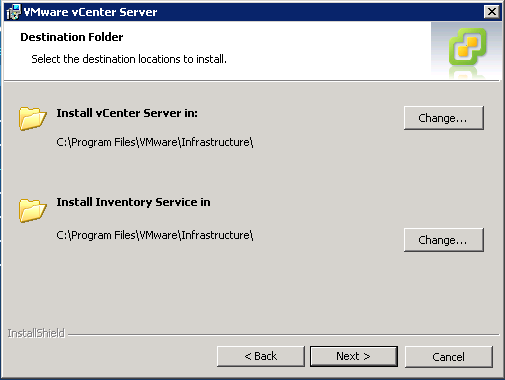 Choose to install vCenter into the default destinations. 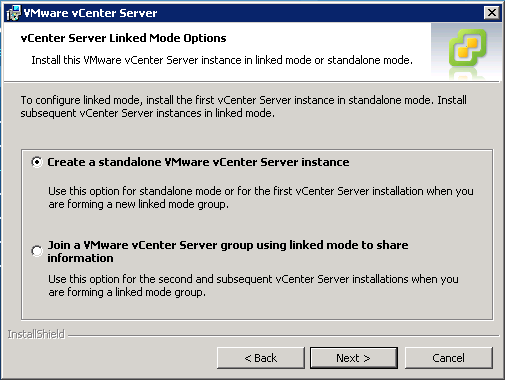 For a small deployment or lab, it’s very rare to be using vCenter in a linked mode configuration. 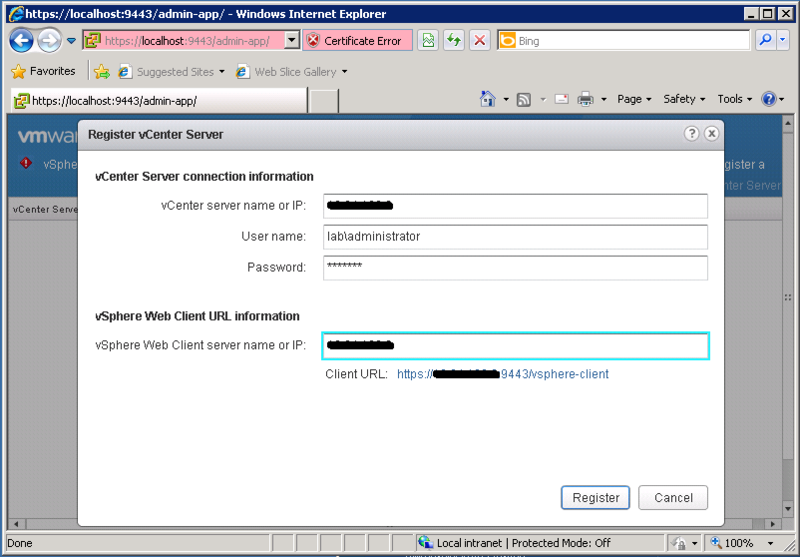 Choose to create a standalone vCenter instance. You can change this later on if you want to by just running the installation again. Choose the default ports for all services. As this will be a small deployment, we choose a “Small Inventory Size” which allows us to manage less than 100 hosts or 1000 virtual machines. If you know that you will be having more hosts or virtual machines in the near future, I suggest you choose a larger “Inventory Size” already now. The same goes for the last option before installation. 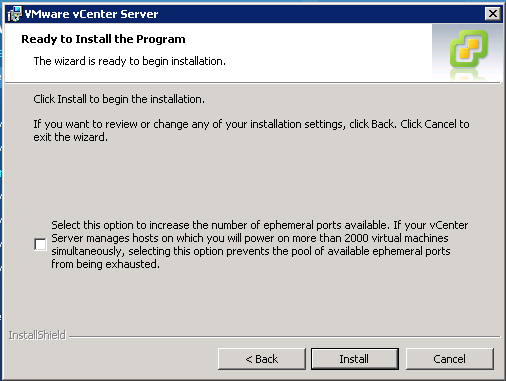 If you know you’ll be handling more than 2000 VMs with this vCenter instance, check the option to increase the ephemeral ports so you’ll be ready to handle all the VMs immediately. Otherwise, skip this and just click Install. This may take a while. Go get some runts. Once the installation is done, you’re finished! Well, almost. You’re finished with the basic vCenter instance installation, but there are still a few components left. Continue to install the vCenter Client on the vCenter server (I suggest you install it on your regular client/laptop/desktop as well), choose all defaults. Once you’re done with the client installation, let’s continue with the Web Client. Why would we need a Web Client when we already have a proper client installed? Well, if you take a look at the first picture on top of this post, you’ll see a notice saying “Important! 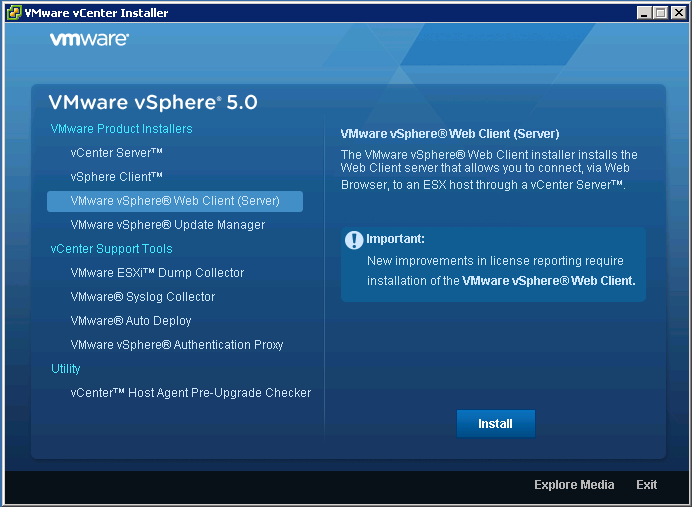 New improvements in licensing require installation of the VMware vSphere Web Client“. So let’s get started with it! 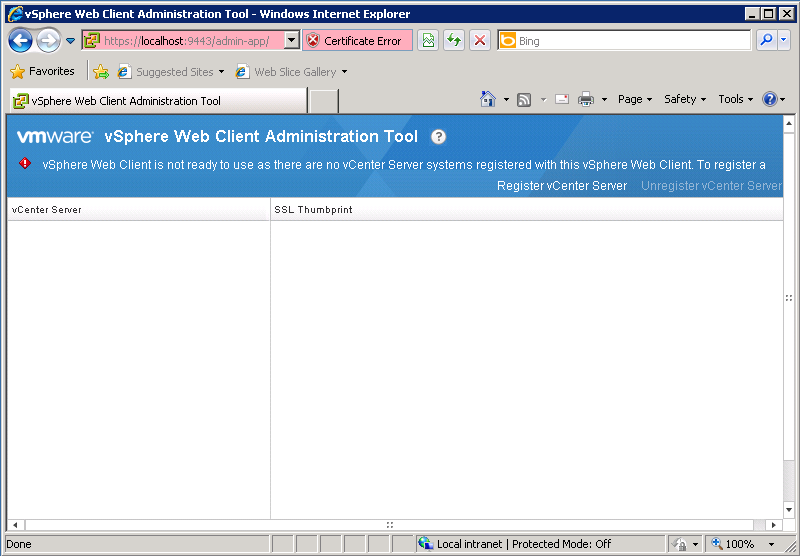 As you can see, there are no vCenter servers registered with this client. You can actually add multiple vCenter servers here which means that you can use the Web Client as a central point for management for all your VMs on all vCenter instances. Very nice! So let’s go ahead and add our first vCenter instance, click on “Register vCenter Server” and you’ll get the following image. Add your vCenter information and credentials and click “Register”, verify the certificate (ignore it if you want). 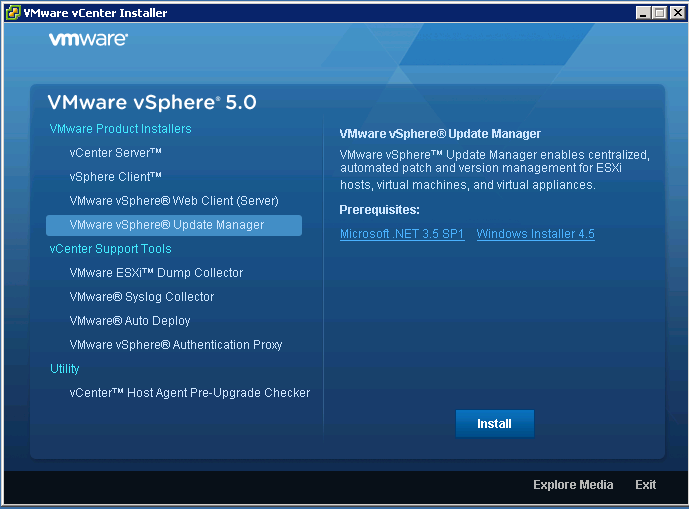 Lastly, we’ll install VMware vSphere Update Manager. This tool will let you update your ESXi5 hosts (when patches are available) and upgrade your current ESX/ESXi4 hosts to ESXi5. Choose all defaults, choose to install a new SQL Server 2008 Express instance (it will use the one that is already installed), enter your administrative credentials for the vCenter instance, and choose your installation folders. I usually put the patch and upgrade packages onto another directory than the default one (preferrably a new virtual disk, like U: for Updates). You might get a warning saying that you don’t have enough free space on your drive (the new Update Manager wants a drive with at least 120GB free), however you should be ok with a smaller amount to start with. Just make sure you can expand the drive if needed. HOWEVER! 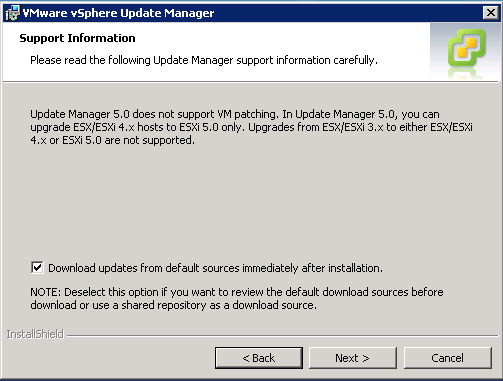 One big change from the version that were used with vSphere 4, is that Update Manager no longer supports VM patching. I don’t know many customers who actually used it, but still. Have fun, and please reach out to me if you have any questions or comments! 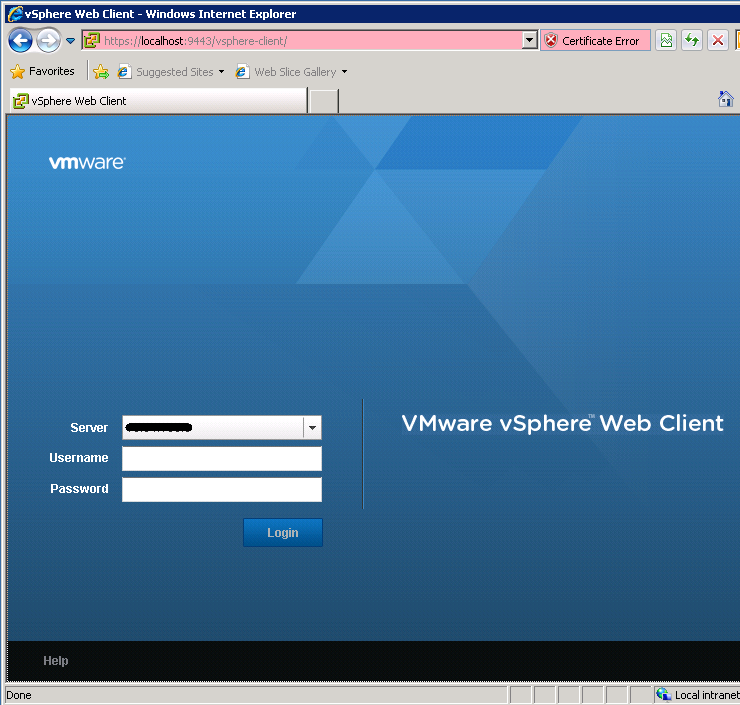 This entry was posted in News, vCenter, VMware, vSphere5. Bookmark the permalink. 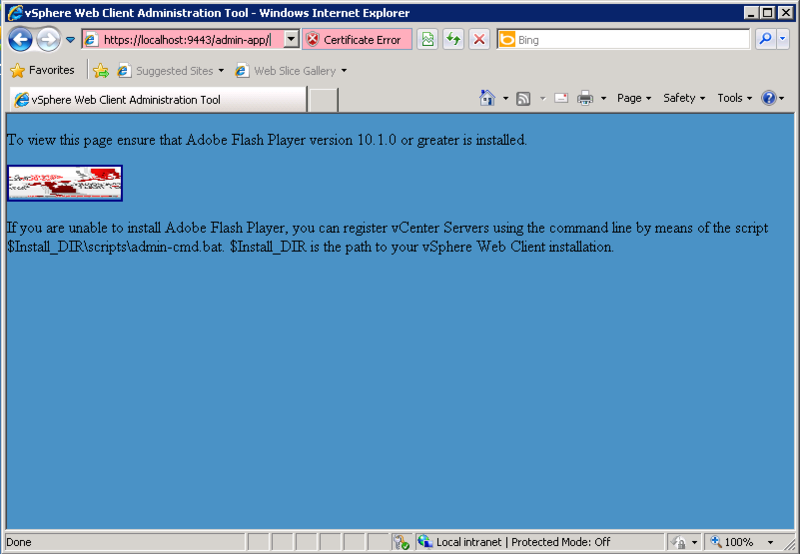 I’m glad I came across your site first before going to VMware. This is absolutely the most straight-forward set of instructions I’ve ever seen. This is the most straight-forward set of instructions for getting VMware Vsphere Server 5 up and running. 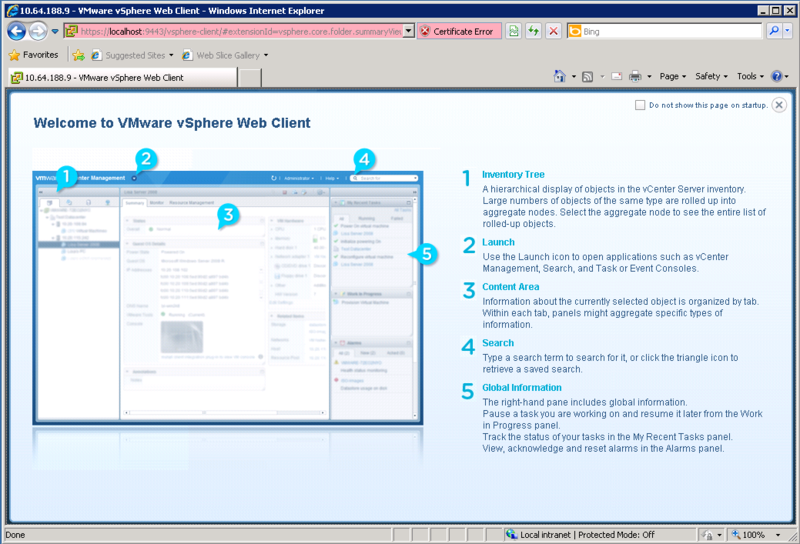 Thank you for posting these, it was helpful to follow these steps for setting up vCenter 5. The job was easy thanks to your help. You’re more than welcome, glad you liked it! If you’re following either the directions in this blog post or the directions during the installation wizard, there should be no crashes whatsoever. There’s nothing special you need to do on an OS level. Let me know how it goes!